Back in 2005, Darryl Clayton, frontman of BED OF ROSES had the chance of a lifetime. 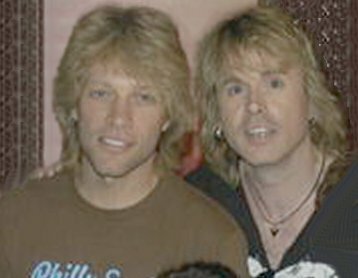 Being a member of the BON JOVI fan club, he was one of the chosen 300 to attend a meet and greet with Jon Bon Jovi in Sea Bright, New Jersey. He got to be part of a Q & A session with Jon and had the chance to speak to JON personally and have a picture taken with him. While Darryl was in Sea Bright New Jersey he was asked to join a local cover band on stage to perform a couple of BON JOVI tunes. The band and crowd raved how much Darryl replicated JON's voice and look. Performing at Hugh McDonald's (Bon Jovi's bass player) Birthday Party! BED OF ROSES had the absolute honour and privilege to be invited by the lovely Kelli McDonald to her husband's Hugh's 60th Birthday Party! 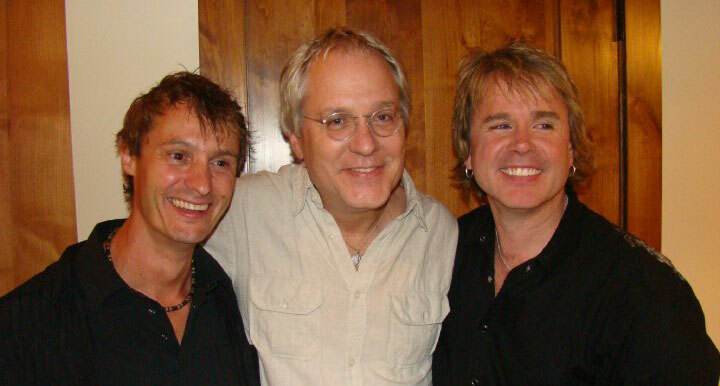 Darryl and Bed OF Roses Bass player, Glen Davies with THE Hugh McDonald.